Paul Woolmington is one of the world’s most innovative marketers, disrupting and redefining traditional communications models while working with many of the world’s leading brands. Named one of the ten most creative people in marketing and advertising by Fast Company, he has launched two successful media and communications concerns and served as an advisor to governments, startup firms, and social cause organizations worldwide. Born in Africa, raised in London, and for many years a resident of New York, Woolmington brings with him a global perspective. During the ’90s he worked as a senior executive at Y&R, at the global holding companies IPG and WPP, and at MDC Partners. Then, acting on his belief that media strategy needs to be an integral part of every brand’s message rather than just a means for distributing it, he founded and ran the Media Kitchen. 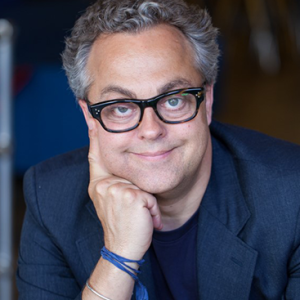 In 2006 he co-founded Naked Communications Americas, an award-winning brand and communications management consultancy that spurred clients to rethink their marketing and communications efforts and embrace the changing media environment. Naked has been called “marketing’s most creative business” by the Financial Times and “the agency of the future” by The Washington Post. In January 2016, Woolmington was named CEO of his third startup agency, Canvas Worldwide. He also acts as an advisor, advocate, and angel to a number of dynamic businesses. As a senior fellow at the Columbia University School of the Arts, he worked with Lab member Frank Rose to launch the executive education Program Strategic Storytelling and served as faculty co-director of its predecessor program, Digital Storytelling Strategy, presented in partnership with Columbia Business School.